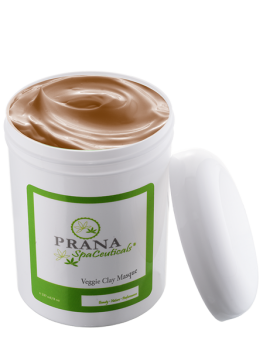 Prana Veggie Clay Masque, 8 oz is nutrition for the skin. 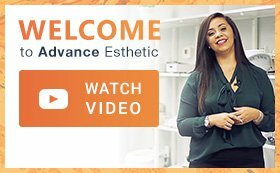 It reduces oil production, tightens, firms, and tones sallow skin. 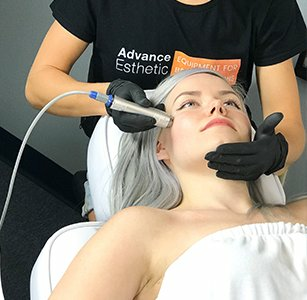 It was formulated to minimize breakouts. This masque is best for combination-to-oily skin but may be used on all skin types. 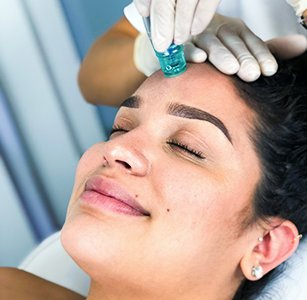 Ingredients: Purified Water (Aqua), Certified Organic Aloe Vera Gel, Caprylic/Capric Triglycerides, Sweet Almond Oil, Lycopene, Avocado Oil, Sesame Oil, Micronized Zinc Oxide, Glyceryl Stearate, Montmorillonite Clay, Vegetable Glycerin, Sodium PCA, Hyaluronic Acid, Dimethicone, Copolyol, Rosehip Seed Oil, Evening Primrose, Borage Oil, Camphor, Micronized Flower of Sulfur, Bentonite, Cucumber, Wheat Protein Amino Acid, Silk Protein Hydrolysate, Soy Isoflavonoids, Extracts of Ginseng, Eyebright, Alpha Bisabolol (Chamomile), Ginkgo Biloba, Usnea Barbata, Japanese Green Tea, Grape Seed and Centella Asiatica, Peppermint Oil, Vitamin A Palmitate, Beta Glucan and Phenoxyethanol.